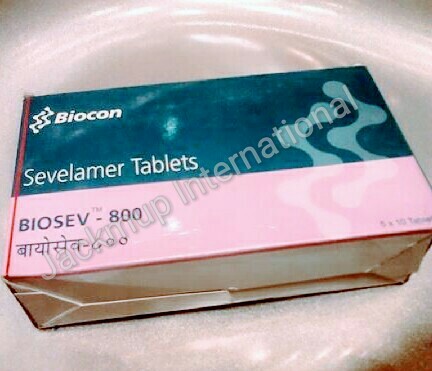 Description:- Biosev c 800 mg tablet is used in the treatment of increased phosphate levels in blood. It is used in patients with kidney problems and on dialysis. It inhibits the absorption of phosphate from the intestine and lower the phosphate levels in the blood.